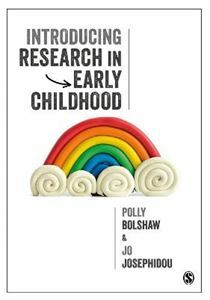 Exploring research methods in the context of early childhood, this popular guide approaches complex ideas in a clear style linking directly to practice. It covers all students need to know about undertaking research in early childhood, including action research, ethics and carrying out a research project. Introducing Research in Early Childhood explains exactly what `research' is, and provides a clear understanding of its importance to an early years or early childhood studies degree.
. Get to grips with translating research into real life in a classroom setting.